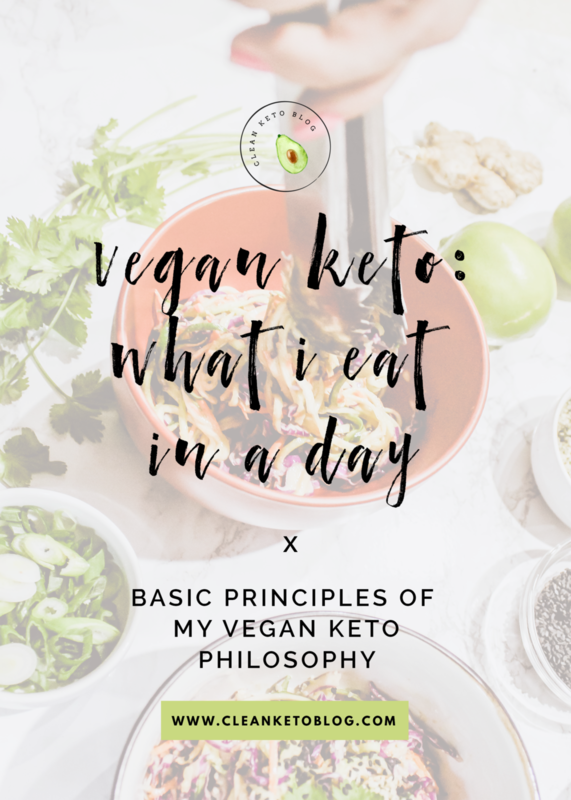 Since starting my vegan keto Instagram account last March, and joining the Facebook admin team over at Vegan Keto Made Simple and Vegan Keto Advanced, I get asked A LOT what I eat in a day on vegan keto? When you take the meat, cheese and eggs out of keto, it's understable that it can be a little perplexing regardless if you are vegan or not. One thing I would like to say is this: Everyone does vegan keto a little different. I am a firm believer in one size DOES NOT fit all. I've spent quite a bit of time in various communities (keto, vegan, A.A./N.A.,) to know that even though concepts of a practice seem universal across the board, the journey that gets one to what works for them can change the way the 'fine print' of their practice actually reads. I love this, however I know that it does cause a lot of conflict when groups of, in this case, keto people come together. On average I'm below 20g net carbs per day, but every once in a while I fall between 20-30g net carbs. Once fat adapted upping your carbs can be easier and not impact ketosis. I like having some wiggle room and my body feels good in that range! I used to divide my 20-30 net carbs fairly equally through out the day when I first started my keto journey. There is nothing wrong planning out your day this way, I eneded up discovering through a podcast by Leanne Vogel of Healthful Pursuit, that I might get a restful nights sleep of I saved the majority of my carbs for the end of the day. 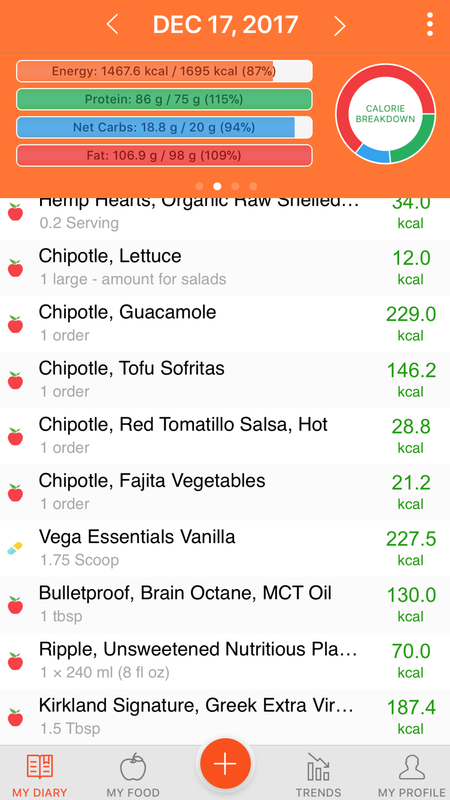 My sleep wasn't horrible, but I was waking up at 5am (an hour before my alarm went off) more and more.. this vegan keto journey is all about experimenting and figuring out what works so I decided to give it a try! After a week of practicing Carby Nights I was sold! It seemed to be the sweet spot for balancing my fat fueled energy. Or keep it simple with a protein shake or Pegan Bar! 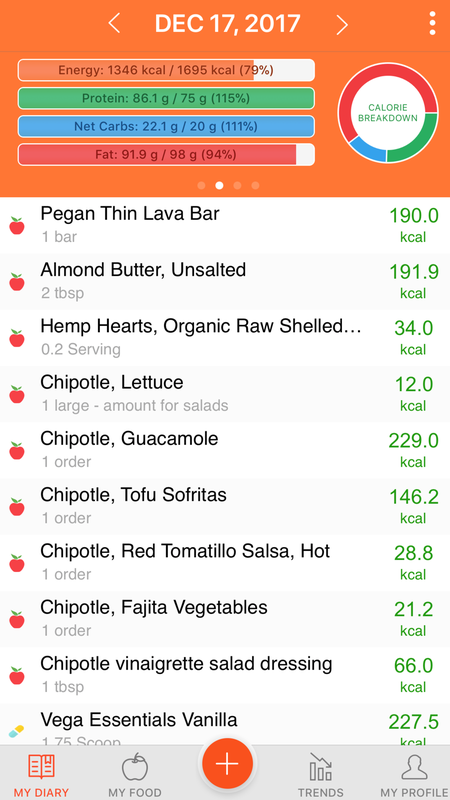 My Cronometer goals are set to strict keto (learn about my food tracking app experience in this post) and my own personal fat & protein goals. At the end of the day, everything is fairly flexible. I don't work out, have a desk job, so my calories aren't super high, but I'm also not super concerned if I don't meet my 1600/day. I am always within my 1200-1600 range because dropping below 1200/day would put me into the starvation zone. There you have it! What are some of your vegan keto principles? How do you keto? Comment below! I would love to hear from you!